Voters have told Fiona Onasanya she should ‘pay the consequence’ as they get the chance to sack her as MP for Peterborough. A Recall Petition opened at 7am this morning which constituents have six weeks to sign. If 10 per cent (6,967 people) sign it within a six week period then she will lose her seat and a by-election will be called. The petition, which will cost national taxpayers approximately £500,000, was automatically triggered after the MP failed to overturn a conviction for perverting the course of justice after lying about who was driving her car when it was caught speeding in Thorney in July 2017. She was sentenced to three months in prison for the crime but only served four weeks before being released. She was expelled by the Labour Party the day after her conviction. Yesterday, in a dramatic twist, the solicitor pleaded with constituents not to kick her out of her office by re-iterating that she was innocent and that the media had failed to give her side of the story, although she failed to give any evidence in the video as to why she was not guilty. It was the first time Ms Onasanya had spoken about her conviction despite repeated requests from the Peterborough Telegraph for an interview. 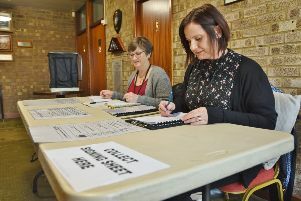 Voters have been attending 10 signing places across Peterborough from this morning, but the media are legally not allowed to report on how good the turnout appears to be, or publish any statement that could indicate if an individual has signed the petition or not. Kasir Iqbal (48) from Park Road voted for Ms Onasanya when she was elected for Labour at the last General Election in 2017. He was spoken to by Labour’s parliamentary candidate for Peterborough Lisa Forbes who was out campaigning today both on the Recall Petition and the upcoming city council elections. Mr Iqbal said: “I was not much aware of (the petition) but had a letter the other day. “Lisa was encouraging me to sign it. “(Ms Onasanya) has broken the law - you can make a mistake and say it’s a mistake. But perverting the course of justice - she should have been a bit more responsible and admitted it at the time. Ms Forbes said there was a mixed response on the doorsteps when she asked if people were aware of the Recall Petition. She said: “You’ve got some people who are completely aware of what’s happening and some people who are not sure. “We are telling people that they should be signing it. “Labour was as disappointed as the people in Peterborough that Fiona lied repeatedly. She has not only let down the people of Peterborough but Labour activists who campaigned so hard to get her elected. One of the signing places is at the Town Hall in Bridge Street where the Green Party was speaking to residents to make them aware of the Recall Petition. 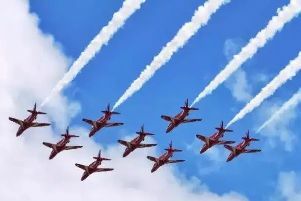 The party’s parliamentary candidate for Peterborough Joseph Wells said: “We are just getting an idea of what people’s feelings are. “Everybody I have spoken to has pretty much said there needs to be a by-election and she should go. Only a few think she should stay in the job. Green Party council candidate Fiona Radic was worried people would be complacent that only 10 per cent of them needed to sign the Recall Petition. Awareness of the Recall Petition was also mixed among those the Peterborough Telegraph spoke to. One woman, who did not wish to be named, said: “I’m absolutely furious that she’s still maintaining her innocence after two trials and an appeal. The money that it has cost to conduct the investigation, the trials, the appeal - she was in prison for a month and now tagged. And she has the cheek to say that she’s innocent! One couple from Peterborough said: “What she did was a disgrace. It would have been just a few points on her licence if she had not lied and that would have been the end of it. A voter from the Ortons, which is in a neighbouring constituency, had also heard about the Recall Petition even though he cannot sign it.